Admission is $5 for adults, $3 for children 6-12. Offers in-water interaction with Atlantic bottlenose dolphins. The price is $210 per participant, but you can watch at close range from land and ask questions for $10. Both Dolphin Plus Bayside and Dolphins Plus Oceanside are operated by the same company, but they have different areas of emphasis. Theater of the Sea is one of the oldest marine mammal facilities in the world. The lagoon, originally a quarry that supplied rock for Henry Flagler’s railroad in the early 1900’s, was established as a park in 1946 by the McKenney family. The McKenney family still owns and operates the park today. Captain Robert Vaughn – Light tackle or fly View catch of the day gallery fishing. PADI Training Facility, offering instruction from entry level through Divemaster. Most instruction is on a private or semi-private basis –no crowds. 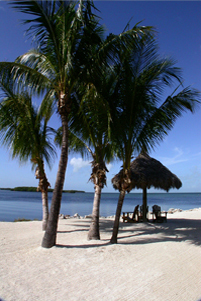 Offering daily snorkel only tours to the coral reefs of John Pennekamp Park and The Key Largo National Marine Sanctuary. The best family fun in Florida, see the Christ Statue. Dry snorkels and Prescription Masks. Daily dive and snorkel trips to the reefs and wrecks of Key Largo, and diver training at ALL levels … from beginner to Instructor.